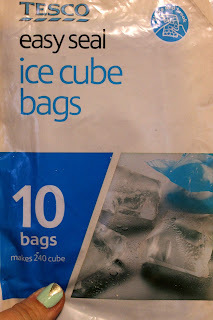 Bossy Italian Wife : Stuff I Use: Scottish Ice Cube Bags + A Giveaway! While I was away in Scotland, I was hard at work finding awesome products that I could bring home. 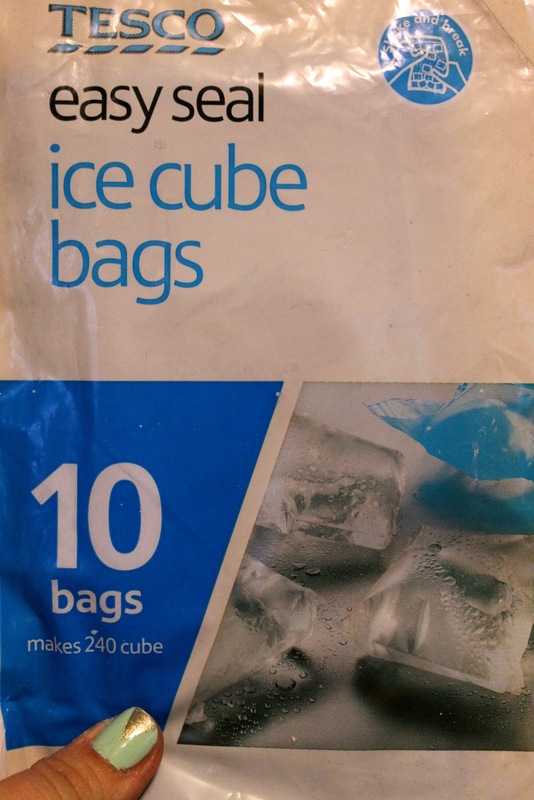 One product my sister-in-law had introduced me to during Christmas were these ice cube bags. They were big on my list of things I just had to get while I was in Scotland. And since I was loading up on them, well, I thought why not share a little love with my readers?! That's right, I am giving one lucky reader a box of these totally awesome ice cube bags. I apologize in advance for your new addiction to them. Seriously--they are awesome. Someone should petition local grocery stores to carry them. While someone gets on that, let's take a few moments to discuss the finer points of these [awesome] bags. You fill them with water, and then you stick them in the freezer--that much at least should be obvious. But it's what happens once the ice is made that gets me excited. By pulling on the opposite ends of the bag--VIOLA!--suddenly all the cubes move to the bottom and they are encased in a bag! Just. Like. That. If you don't need a bag of ice, you can pop the cubes out one at a time, which is an advantage. And they are in perfect little sizes. I just love this product. Love it. If I am being perfectly honest, it's hard for me to part with a box of them...so that should tell you just how much I love you guys. Perfect for the summer time, at the beach, on the go. Perfect just to have and marvel at. Perfect for impressing your friends because you have them and they don't. Perfect in every way. In the past, my giveaways have centered around getting FaceBook, but this year I wanted to get into some new and different techniques, so we're going to use this awesome new widget that you see at the bottom of the post! Enter a comment telling me what kitchen product you just can't live without AND sign up through the widget and you're entered to win. Want an extra chance to win these ice bags I know you can't live without?!?! Follow my blog by clicking GFA (Google widget) on the right side of my blog for an extra entry! The winner will be generated at random and announced next Sunday, March 3rd and entries close at 7am. This giveaway is sponsored by Bossy Italian Wife--and don't you forget it! I can't live without my KitchenAid mixer. It's a lifesaver and I love it!!! I'm pretty sure I couldn't live without my slow cooker. Not sure how I did without it in the first place!